Even though this looks more like a tart, it's still yummy! 2. In a medium bowl, combine the flour and sugar. Slowly add the oil, mixing with a fork until crumbly. In a small bowl, combine the vanilla, butter and milk. 4. 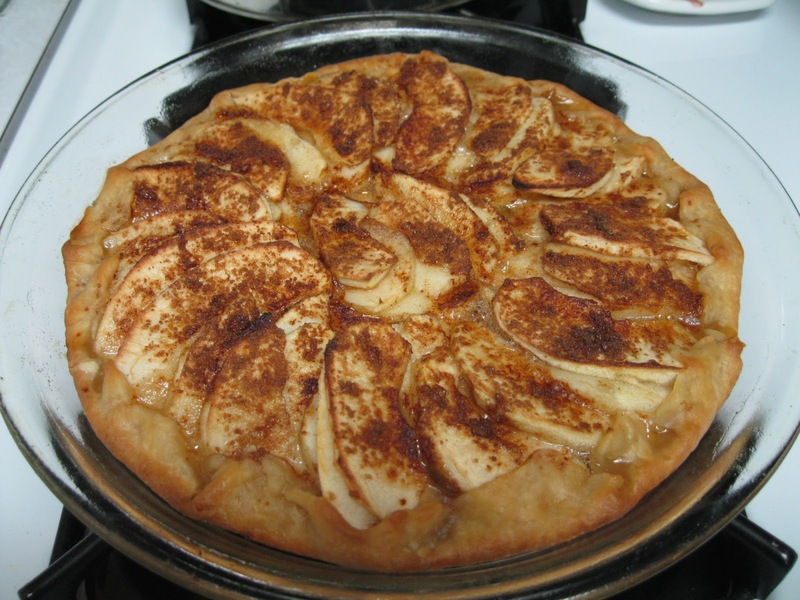 Transfer the dough to a 10-tart pan or pie plate coated with nonstick cooking spray. Spread the apricot preserves carefully over the crust. In a small bowl, combine the brown sugar and cinnamon. 5. Sprinkle half of the cinnamon mixture over the apricot preserves. Arrange the apple slices on top and sprinkle with the remaining cinnamon mixture. Bake for 20-25 minutes or until the apples are tender. Serve warm. Didn't have apricot preserves, but did have Orange Marmalade. Added a nice zest to the apples. Used Benecol for the butter. Next time going to use the Land O' Lakes margarine w/80% vegetable oil as the crust didn't puff up much. Not sure if a combination of using the marmalade and Benecol made the difference in the crust being really, really hard. This recipe does mention serving while warm - which I'm sure the crust would be softer. Don't get me wrong, the crust was still good but just hard.